My shop time has been limited as of late. My day job mostly and, now that spring is here, there is three hours of mowing grass every week. However I did manage to get into the shop for a couple of hours today and worked on the end tables. 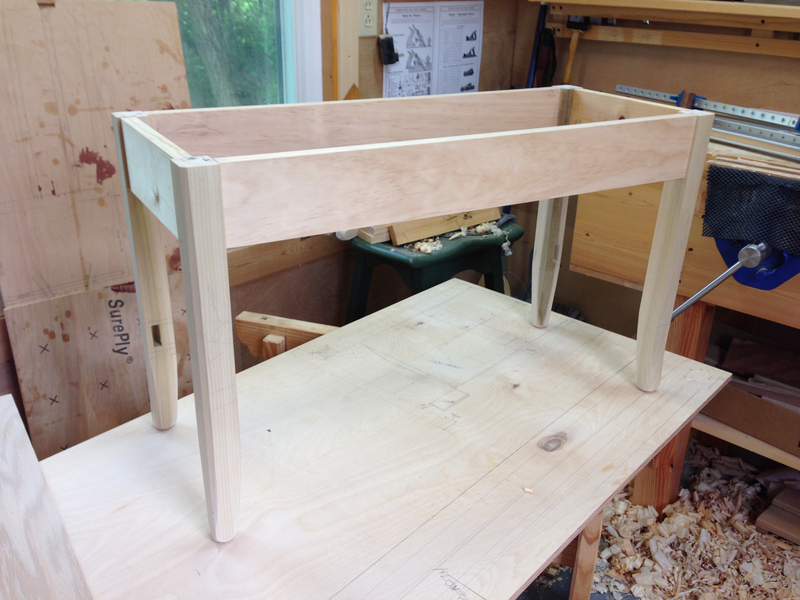 I prepared the top rails for one of the tables and also was able to cut and fit the tenons. Everything went really smooth today. I cut the shoulders and split off the cheek waste for the tenons and only needed a light pass with the router plane for final fit. In fact, I never had to change the setting of the router plane after the first tenon. All eight tenons went the same and had the Goldilocks fit. Not too tight, not too loose but just right. All that was left to do was cut and remove the waste for the bottom shoulders and fit the upper sloped haunch. That went smooth as well. This sort of efficiency is rare for me so I’m pretty happy about it. My plan is to prepare and fit the lower rails tomorrow for this fist table. If time permits, I’ll do the final cleanup and glue this table base together. I need to assemble these tables one at a time because I do not have enough long clamps to glue up two tables at once. Clamps are on my list of things to buy for the shop. Of course, it seems like they always are no matter how many you have. 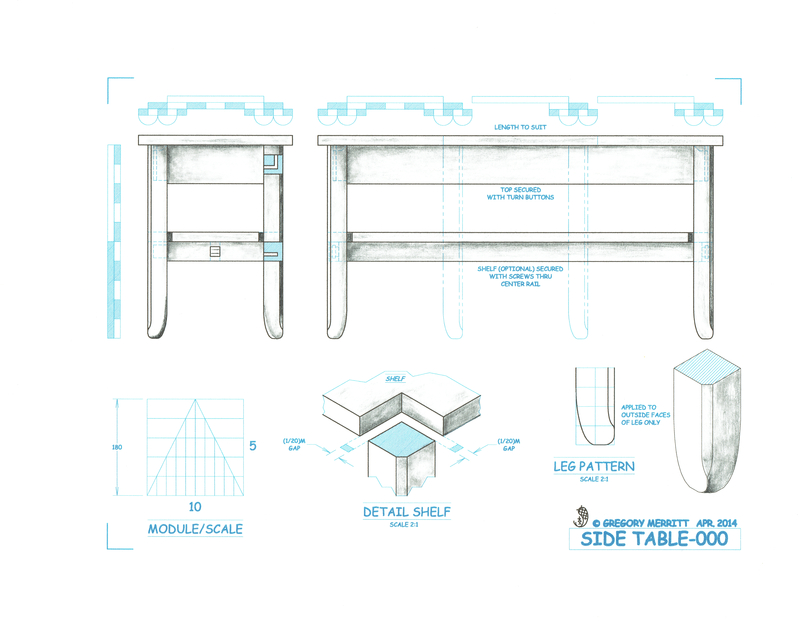 This entry was posted in Design, End Tables and tagged Design, tenon, Woodworking. Bookmark the permalink. Ever think about draw boring the M/Ts? Once you drive the pin home there is no need for a clamp, in fact no need for glue although I usually will use glue with the draw bore. I just finished a set of three side tables, two draw bored, one not. The pined ones are a stronger and easier build. Another advantage, if the rails are the same length and the shoulders are square (A big “if”) the base will be square. You can’t always say that about glue and clamps. BTW, your base looks good. Thanks Ken. Draw boring is an option and a technique that I’ve used in the past. I find it tricky to use when the rails are in line with each other, such as this table. My other concern is that the legs would need to be a little thicker. But I could use the draw bore to hold it together while the glue dries. I’ll give it some thought.